Samsung is ready again with its New M series and this time possibly they are going to bring this series with 3 New Models i.e, M10, M20 and M30 and this model might come with the combination of the Samsung J series, ON series and C series. These are manufacturing as per the Indian requirements. So, that you can expect that it would no more highly expensive like the other Samsung Premium devices. The specialty of this M series models is it will have the Infinity V type display but exactly looks like V-shaped Notch or Water drop Notch Infinity-V type display, I really have a little bit confused on it. So anyway let's discuss M10. So, M10 known by the model number sm-m105f. Here we might get the LCD display panel of 6.4 inches and hopefully, it will be powered by Exynos 7870 processor with 1.59 GHz clock speed. So, on the memory and storage department, it might come with 3GB RAM, 32GB and 64GB of Storage. So, M20 known by the model number sm-m205f. Here we will also get the 6.4-inch AMOLED display with the screen resolution of 2340×1080 and we might get the aspect ratio of 19:5:9 and it might have 13 and 5 megapixels of Rear Camera and 8 megapixels of Front Camera and in the memory and storage part it might have a 3GB of RAM with 32GB and 64GB of Storage. It might have a huge 5000 mAh battery. So, M30 know by the model number sm-m305f. So, this model will be an expensive one among these M series which might be powered by Exynos 7885 as it will be a little expensive than those. So, it would have big RAM and Storage also. Here we might get the 4GB of RAM with 64GB and 128GB of Storage variant and here we also get the bigger battery, powerful camera and it might launch after these two M10 and M20 series. Note- So, here all the models will have the same Notch Design with the Bigger screen and Battery and the Camera Capacity are not yet leaked properly. 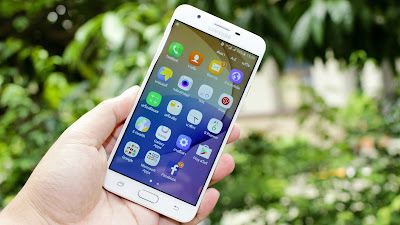 So, we have to wait for that and it comes with more features as it would launch by stopping the manufacturing of Samsung J series, ON series and C series.